Tabitha Fink is one awesome, amazing, wonderful cat! Why? Because while she’s cute and adorable like other cats, Tabitha Fink also has just one eye – and she thinks that’s just perfect for her. with only one eye where some others have more. I’ve still got one tail and four paws on the floor. I’m still Tabitha Fink as I’ve mentioned before. The message of accepting who you are and embracing your differences, no matter what they are, comes across loud and clear without being preachy in Tabitha Fink. The illustrations are simple, bright and cheerful and when combined with the brief text, come together to make the perfect book for the preschooler (ages 2 to 5). I’ve no doubt that both parent and child will be smiling ear-to-ear after reading Tabitha Fink. Quill says: A not-to-be missed story for the preschooler in your life – uplifting, enjoyable, and just plain fun. I loved every word! Gus the green caterpillar wasn’t like the other caterpillars who lived around the big oak tree. The other caterpillars liked to hurry about drinking and eating as fast as they could while Gus wanted to slow down and wander about, exploring the world around him. He just didn't fit in. It’s during one of his adventures away from the tree that Gus runs into Shoo Bee. Like Gus, Shoo Bee is a bit different from his friends because he’s allergic to pollen. A bee allergic to pollen? How can that be (pardon the pun)? Together these two unlikely friends will brave the elements as they depend on each other to save those around them. After a brief chat, the new friends, Gus and Shoo Bee, go their separate ways. Gus has to go back to the oak tree to work on his cocoon, so he’ll be too busy to spend time with Shoo Bee for a while. But the growing storm clouds are going to change his plans very quickly. Before Gus can get back to the spot where his cocoon will be, Shoo Bee comes buzzing back with a warning about the oncoming storm. In an instant, Gus knows that his caterpillar friends are in danger. Their new cocoons will never be able to withstand the high winds of the storm. Gus soon realizes that the best thing to do is tell Councilor Cricket – he’ll know what to do. But the cricket lives at the top of the oak tree and Gus will never get there in time...unless Shoo Bee can fly him up to the top of the tree. Will the two friends, working together, be able to save the day? The sister and brother team of Dicksy Wilson and D.B. 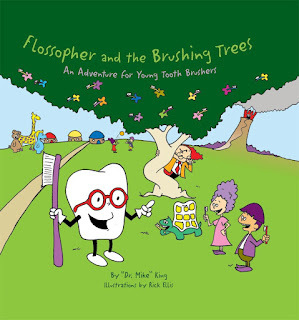 Sanders created this whimsical tale together, with Sanders adding the lively illustrations. Told in rhyme, the story is fun, creative, and teaches a great lesson of overcoming obstacles and working together to solve problems. There’s also a little bit of a science lesson in this tale as readers will see Gus build his cocoon, take a looooong nap, and then emerge as a beautiful butterfly. What a fun story! Quill says: An enchanting story about how working together can solve problems, and help others at the same time. Charlotte is a young girl with a vivid imagination. Together with her beloved dog Lily, and “The Litter” (a group of six ‘stuffies’), they go on many adventures. Those adventures could be so much more amazing if Charlotte would pick up a book and read it through to the end. Unfortunately, whenever she reads, Charlotte keeps getting distracted and never finishes her books. How will Charlotte ever become a veterinarian if she doesn’t read? One day Charlotte was going to read a book about an ocean voyage. Yawn...why read about the ocean when you can go in the bathroom and create your very own ocean in the sink? Lily and The Litter follow her and before long, there’s a fish, a seashell, a boat…and the floor, overflowing with water. Oops. Charlotte’s adventures lead to lots of messes and at one point, poor Lily, her faithful dog, gets hurt while playing. Off to the vet they go. The vet tells Charlotte that Lily will be fine but she needs to be kept quiet for a while. What can Charlotte do to entertain Lily that doesn’t require running around? How aobut reading a book?! Will Charlotte be able to stay still long enough to read/finish a book and discover a love of reading along the way? This is an absolutely delightful tale of a young girl who is full of energy, enthusiasm, and life - who along the way discovers a LOVE of reading. Inspired by six-year-old Charlotte Helen Bacon, who lost her life in the tragic shooting at the Sandy Hook Elementary School in 2012, her parents wanted a story to celebrate Charlotte's life, her love of dogs (and all animals) and help others along the way. Good Dogs, Great Listeners does that and more as proceeds from the sales of this book will be donated to the 'Charlotte's Litter' organization, a group dedicated to using therapy dogs to help others heal. Lest you worry, this is NOT a sad story, but a very, very happy, uplifting tale of a girl, her dog, a bunch of 'stuffies' and silly adventures. It's a story that your child will want to read again and again. 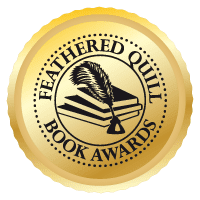 Quill says: A book your child will love – and proceeds support initiatives related to literacy as well as the use of therapy dogs for children – a clear winner! Check out these books that have just arrived for review! Reviews will be posted to our site and blog shortly so be sure to come back to read the reviews! Tabitha Fink: The Cat With One Eye by Rick Felty This is the story of Tabitha Fink. Tabitha Fink is a cat. She happens to have only one eye, but that’s just what makes her special. Otherwise she’s just like every other cat. She likes to run, to play, to hide, to climb up things and gobble up her food. "Tabitha Fink: The Cat With One Eye" is a fun little book, written for children age 2 to 5 that tells Tabitha’s story in a simple playful rhyme wrapped around delightful illustrations that kids will love. The story also contains the important message that everyone is special, no matter how different they may seem. In addition, inside every book (both print and Kindle) is information about how to get a free enhanced audio version of "Tabitha Fink: The Cat With One Eye." The world of Tabitha Fink is a simple and playful reflection of the many special things that are part of children’s lives. The Tabitha stories start with the truth that no one is perfect, that we are all special and unique and that we should celebrate the uniqueness in everyone. Then they use this friendly little one-eyed cat Tabitha Fink to tell other stories that will help children explore their emerging and sometimes challenging worlds. The Stuff of Stars: The Seekers, Book 2 by David Litwack Evolved Publishing presents the second book in the dystopian sci-fi series, The Seekers. ~~~ "But what are we without dreams?" ~ Against all odds, Orah and Nathaniel have found the keep and revealed the truth about the darkness, initiating what they hoped would be a new age of enlightenment. But the people were more set in their ways than anticipated, and a faction of vicars whispered in their ears, urging a return to traditional ways. ~ Desperate to keep their movement alive, Orah and Nathaniel cross the ocean to seek the living descendants of the keepmasters' kin. Those they find on the distant shore are both more and less advanced than expected. ~ The seekers become caught between the two sides, and face the challenge of bringing them together to make a better world. The prize: a chance to bring home miracles and a more promising future for their people. But if they fail this time, they risk not a stoning but losing themselves in the twilight of a never-ending dream. Country Story by Tim Noah Singing a happy refrain, a boy with a nickel and his faithful dog set off for the Country Store. They are soon joined by two more pals and a simple trek turns into an epic adventure.Through twists, turns and hair-raising surprises, surrounded by his friends, the boy reaches his final destination only to discover it was all about the journey. A Caterpillar, a Bee and a VERY Big Tree by Dicksy Wilson and D.B. Sanders A story about positive thinking, helping others and never giving up. Authors Dicksy Wilson and D.B. Sanders tell the inspirational story of one very small caterpillar overcoming huge obstacles to save the day and make some memorable friends along the way. Good Dogs, Great Listeners: The Story of Charlotte, Lily and the Litter by Renata Bowers Charlotte loves dogs, especially her loving and loyal dog, Lily. And she loves adventure, especially with Lily and her Litter of six stuffed dogs in tow. But, she doesn't love to read. Charlotte has a pesky habit of abandoning a book in favor of a distraction. Paired with her dogs and her bold imagination, that distraction has a way of turning into a grand adventure. But when Lily gets hurt on one of their adventures, Charlotte relies on her imagination and her heart to find a way to love Lily back to health...and discovers a love for reading along the way - along with her beloved companions. Author Robert J. Ray spins a suspenseful and one-of-its-kind sexagenarian and septuagenarian story in his seventh book of the Matt Murdock Murder Mystery series. After their taxing adventures in Taos (Murdock Tackles Taos), Helene Steinbeck comes to Sedona Landing not just for a three-week writing workshop, but also for some R & R and an opportunity for her and Matt to mend their now fragile relationship. Helene's idealistic Arizona vacation falls flat when she meets Axel Ackermann, a billionaire and one of a handful of investors planning to buy the historic hotel. Setting his eyes on Helene, Ackermann hires her to find the person who is killing off his investors. Helene agrees to the deal only if Murdock's name is included in the contract since she insists that they work as a team. But Helene's concept of teamwork goes out the window when Steve and Connie, local cops, join the investigation after a third investor is found dead. While there is periodic head butting between Murdock and snarky Steve and emotional and sexual tension between Murdock and Helene—especially when Murdock pairs up with Connie during investigations, Ackermann keeps getting pressure from various sources to give up his plans for Sedona Landing. Amid all of the tension, sinister plans are lurking behind the scenes—twisted, unimaginable evil plans, and with a little help from Homer's Odyssey. Unique to Ray's mysteries is Matt Murdock's hard-boiled persona. Murdock carries all the qualities of refined sleuth who always has a "hunch" and a stick-to-itiveness when others doubt that his clues will amount to anything. And perfectly complementing his gruff traits, Ray has created his equal—Helene Steinbeck. Although centering on these featured characters, Ray incorporates a host of colorful characters, especially his villains who are not always readily identifiable. That said, Ray does a stellar job of throwing in red herrings just at the right time, which keeps his audience on their toes in their own sleuthing pursuits. Ray's writing style is also unique. Focusing much of his plot on tight conversations, he uses a wonderful blend of directed, misdirected, and modulated dialogues that weave in and out of each chapter. In this particular book, Ray employs a Vonnegut-flair to his third person narrative—reminiscent of Slaughterhouse-Five. Not giving away any spoilers, there is indeed a war theme, which is very critical to the storyline's apex. Combining all of the above-mentioned literary tools, Ray's plot runs smoothly from one chapter to the next. Frequently closing with cliffhangers, Ray's short chapters are grouped into five sections labeled in days. Alternating character scenes throughout, Ray deftly orchestrates all of these elements into one amazing performance to keep his audience absolutely captivated from beginning to end. Quill says: Murdock Rocks Sedona is bound to be both a best seller and an all-time classic! A beautiful young woman, Kalida, had grown up with the destructive and conquering ways of her people down deep in a place called The Caverns, but one day she hears music and she is forever changed. Suddenly she feels as if she does not fit in her world and that she needs to be somewhere else, to start a new life. So, secretly she runs away from The Caverns and travels through to another world, our world called Earth. Instantly Kalida is transfixed on the amazing green color of the grass and the gold tint of the leaves for she has never seen colors like this, so vibrant and alive. This is where she decides to stay and makes a quiet life for herself away from prying eyes, quietly existing in the woods. However, one day there comes the sound of music like nothing Kalida has ever heard before and it calls to her, beckoning her to come out of the woods and come closer. Everything inside her pushes for Kalida to go find who is making this wonderful music and she finds that she does not want to resist. Becoming a successful musician was becoming harder and harder for Des Fairweather as he was finding out that it was difficult to even get started. He had a few students who took lessons but that hardly paid the rent each month and he also had not composed any of his own pieces in months, as each time he sat at the piano the music would not come to him. As if things could not get any worse, Des’s friend Jake comes by to tell him that he needs his help to track down the latest story Jake is working on for The Galaxy, the newspaper he works for. The article is about a woman's garden that supposedly has talking flowers. Even though Des did not particularly enjoy these crazy trips with Jake he agrees to go as his music writing was going nowhere. As they approach the woman’s house Jake comes up with a story that they are writers from City Gardens Magazine who have come to hear her talk about her garden. Surprisingly the lie works and they find out the woman’s name is Christine. As Jake asks her questions, Des notices that she has a beautiful piano sitting in her living room and without thinking he sits down to start playing. Amazingly a beautiful waltz melody comes easily to his mind as his hands slide over the keys effortlessly. Suddenly he looks over to the window and sees an overwhelmingly beautiful woman with long black hair standing there watching him. By the time Des stands up to get a better look, the woman has vanished. Des shakes his head thinking that he knew she was real, not just his mind playing tricks on him, and most importantly he must see her again. This book did a wonderful job composing a story of two lives brought together by fate as two worlds cross. Author Jane Tesh creates two characters who I could not help but relate to as they both were having struggles in their own lives but together everything seemed to work out. It was so easy for me to picture in my mind the way music affected these two characters as Tesh puts such incredible detail in the emotions of her characters which made for a wonderful read. Quill says: An incredible fantasy novel that had me swaying to the music along with the characters. Yet another sign was being fastened to the top of the doorway of the National Memorial African Bookstore. Louie looked up to his dad in more ways than one, not just as a man who stuck signs all over the front of their store. A lot of people hung out at 2107 Seventh Avenue, including "kids and grown-ups, black folks and white folks, writers and politicians." Oh, and lots of famous people too. Louie's eyes were filled with awe and admiration as Mr. Ali nudged him on the chin. His dad, Lewis Michaux, Sr., was a man of many words. "Don't get took!" he shouted, "Read a book!" Lewis didn't have but five books when he started out, nor much money, but he "saved his pennies" and went from a pushcart to a bookstore. That banker didn't believe in Lewis, claiming that "Black people don't read," but they certainly did…and they bought lots of books! Louie worked on arranging a display as customers, black ones, browsed the "zillion books in the store." Dad always had something to say about books and knowledge and questions and words. He was known as the "Professor," even though he hadn't gone to college. People kept coming to Lewis Michaux's "House of Common Sense and Proper Propaganda," but the sense seemed to be leaving the world. Mr. Malcolm X had something to say too, but all of a sudden disaster struck. Would Lewis be coming home? Would anyone hear the truth again? This is a marvelously poignant book about Lewis Michaux, a black man who made a difference. Young children, who may know little about Lewis, a man who subtly influenced the course of history, will love this fictionalized tale. It's told from the vantage point of his son, Louie, a young man who learns the value of education and truth through books. The artwork is stunning, meshing perfectly with the tale. In the back of the book is a full page biographical sketch of Michaux, a couple of photographs, and a selected bibliography. The end pages are filled with Michaux's sayings and rhymes. Quill says: A fictionalized portrait of Lewis Michaux that shouldn't be missed! Ellis the Elephant smiled as he waved his flag and prepared to put on his skates. The tree at Rockefeller Center was really something with all those lights and big star at the very top. Ooops, there’s one skater down, but not to worry, she’ll get right back up and try again! “It was Ellis the Elephant’s favorite time of year, / full of wonderful stories he wanted to hear— / tales and traditions of Christmases long ago, / a cherished part of the America we know.” Ellis began to think back to those American Christmases in our nation’s history, Christmases that began even before the colonists set foot in Jamestown. Ellis pictured himself at that rather sparse Christmas dinner on one of the three ships that had set sail for North America. Life was good and the men all said grace and “celebrated with what was on hand.” So many died of disease and starvation, but they were going to establish an English settlement in Jamestown. During the American Revolution, times were pretty tough as well. Ellis the Elephant soon found his thoughts wandering to the Delaware River. Is that Ellis sitting in front of George Washington in the bow of a boat? Why yes, it’s Ellis the Elephant! There were small ice floes in the river, but the men continued to row. “He crossed the Delaware River late Christmas night, / with what remained of his army ready to fight. / In Trenton the Hessians were caught by surprise / and the Patriots’ victory began the British demise.” Huzzah, huzzah, huzzah! Ellis the Elephant continued on thinking about the history of the American Christmas in his mind’s eye. Did George Washington have a humpback camel at Mount Vernon? You’ll just have to read this book to find out! This is a fun, fabulous journey with Ellis the Elephant as he journeys through historical American Christmases. What’s fascinating are the little odd facts that Ellis talks about as we see him celebrate an assortment of Christmases. Kid-friendly facts like Teddy Roosevelt’s Christmas carnival and that humpback camel are not only entertaining, but are forgotten vignettes in American history. These little facts could easily be stepping stones to a school report. In the back of the book are brief discussions of resources about places where Ellis the Elephant recreated Christmases. Quill says: This is a fun story-in-rhyme about the American Christmas that children will love. If politics has become a passion or you think you might be interested in learning more about it, you're probably considering heading to a media source for more information. Media is "anything that delivers information" and there's plenty of it out there to check! Mass media, which includes "television, printed materials (such as magazines and newspapers), Internet resources (such as blogs, podcasts, and social media)" as well as radio broadcasts are most likely where you'll turn to read, listen, and learn about politics. Public, commercial, and private media resources operate in different ways. For-profit and not-for-profit are much different critters and will obviously influence the way information is presented. You'll learn about these media sources, how they work, and decide where you want to get your information from. For example, if you listen to National Public Radio (NPR), you'll need to know it’s a not-for-profit media source. What these media resources cover depends on their audience. All of them want large audiences "which lead to bigger profits," a no-brainier fact. Election coverage Involves collecting information from a variety of sources from interviews to "in-depth research." Next up comes the presentation process. Perhaps you never stopped to think about it, but "the news media can package that information for audiences in several different ways from ultra-brief to extremely in-depth." Ever heard of a sound bite? Once you learn what they are, you could have a lot of fun searching them out on YouTube. After you've got the basics out of the way, you'll find out just how the media keeps us all informed. One thing for certain is that the "Internet has created more and more ways for people to engage with one another and candidates." You learn about invented information, bias, the role of social media, attack ads, the big business aspect of political ads, fundraising, the importance of the candidate images, and many more interesting things about media from "news coverage to political advertising!" I was quite impressed with how well-written and presented the information in this book was. Each chapter presents information in such a way that it not only presents information, but also subtly encourages the reader to think about the media presentation of the election process. There are numerous informative sidebars that add additional information to the text. For example, one examines the pros and cons of attack ads. 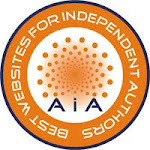 In the back of the book is an index, a glossary, source notes, a selected bibliography, and additional recommended book and website resources to explore. Quill says: This is an excellent resource for students who want to learn more about the role of media in our election process. It is said that fame is fleeting, but when one is an iconic figure, it doesn’t quite work that way. Misinformation abounds and swirls about like the snows on Mt. Kilimanjaro around some people, but none more so than those concerning Santa Claus. Ho, ho, ho, nobody knows, but the old guy himself. Santa simply wants to make things clear in his memoir that under no circumstances did he ever “run over a grandmother” and other such nonsensical foolishness. Only Santa knows what has transpired over the past 1,700 years of his life and he figures it’s about time that everyone else know as well. Mrs. Claus has probably heard the same old, same old stories more often than she cares to hear them, but if you haven’t, you’re in for a treat. Of course it all has to begin somewhere and that somewhere was in Patara, “in the nation of Lycia, in the year of our worthy Lord, 280.” A babe named Nicholas was born to wealthy parents, who were considered to be rather elderly in that day and age. Fifty is considered young these days, but way back then it was ancient. Alas, despite a very happy home and childhood, poor Nicholas was orphaned at an early age. The lad’s inheritance was hefty and the decision had to be made as to what to do with it. It crossed Nicholas’s mind that Jesus said “we must treat others as we wish to be treated.” The lessons he learned in his second home among the village priests certainly weren’t lost upon him. What would he do with his life, his fortune, and the lessons learned? This is a fun, charming memoir of a gentleman known ‘round the world. Of course Santa has gone by a few names in his day, many we are familiar with. What many of us don’t know is just how Santa came about filling those stockings, learning how to make those toys, becoming that jolly chubby fellow we know, why he didn’t age, and a myriad of other little facts. Oh, and just how did he meet Mrs. Claus? You’ll find out all of those things and many more. Perhaps the unexpected treat, even better than cookies and milk, was learning about Santa’s adventures through time. We meet several historical figures who influenced him, adding to the Christmas traditions we celebrate today. Do you know how Leonardo da Vinci helped Santa create more efficient toys? If not, you’ll just have to read this book to find out! Quill says: If you want to know the *real* truth about Santa Claus, perhaps even things Rudolph doesn't know, this is the book to read! American St. Nick is an unforgettable story concerning our troops who were stationed in Europe in WWII toward the end of the war. This particular tale is about American soldiers from the 28th Infantry Division who were stationed in the village of Wiltz, Luxembourg in December of the year 1944. Two members of this Division were really missing Christmas and knowing that they would not be home for the holidays were determined to celebrate the holidays in Wiltz. And so, they did, taking gifts donated by soldiers from the Division, which they gave to the town’s children at a St. Nicholas Day party on December 6th, which was complete with a visit from St. Nicholas (the Saint was a soldier dressed in a Bishop’s vestments along with a Bishop’s miter). When the war was over, many of the people who took part in the party never forgot that day and definitely the people of Wiltz never forgot it. Every year the people of this small town observed December 6th as both St. Nicholas’ Day along with the visit from the American St. Nick with one of the local people portraying the American Corpsman as St. Nicholas. When the town of Wiltz was all but blown to smithereens, which was ten days after the party, during the infamous Battle of the Bulge, there were many casualties. Some of those who survived were people who, during the years after this awful battle, never forgot their American St. Nicholas and the GI’s who took him to the town. The people who were left wanted to find the GI’s and searched for them for many years. After more than thirty years, the prayers of the people of Wiltz found some of the saviors, particularly the first American St. Nicholas who was found and returned to Wiltz on St. Nicholas Day. The author of this wonderful story, Peter Lion, heard the story of the American St. Nicholas in 1994, and states, “My friend, Terry Brookins, was preparing for a trip to Europe with his family, heading to Luxembourg with his dad and telling Lion that his dad is going to do this thing in a town called Wiltz and proceeded to tell Lion the tale of this wonderful story.” Which is why this book was written. This story, that was soon overcome by the war, was never forgotten as this day reached out many years later to grab the hearts of the generations of Americans who honor the people who are still here and the memory of those people who stayed. Quill says: The book is overflowing with memories as the story jumps from the pages, taking readers into the streets of Wiltz in 1944. The author used these grave sites of unknown Continental soldiers to bring this country's first war to life. These brave men died of disease and exposure in the American camp just before Washington's surprising victory. These twenty-one men didn't live to see America victorious with a future that they helped build by giving their lives to the cause. At this time the Continental Army consisted of soldiers from all the colonies (13) and, after 1776, from all the states. When the war began at the Battles of Lexington and Concord in 1775, the colonial revolutionaries didn't have their own army. The author, writing this story about the fictional young revolutionaries, tells us of the adventures that they might have had. Most of the stories of the war were mostly tales of teens and young adults who strengthened the ranks of the Continental Army and are unknown. Twenty-One Heroes is a young adult historical novel that brings the lives of these unidentified heroes to life and it's very inspiring. The three young people in the story are Katherine Mayhew, Joshua Spencer and Ezra Wright. Katherine is a girl of the 18th century and a dedicated Patriot, just as obsessive about the revolution as any man. Joshua and Ezra are friends and students at Harvard who are studying issues of politics and the future of the colonies. Katherine's attitude and intelligence motivates the young men on and off the battlefield and the belief in their cause bring the three together as they struggle over the trials of war. This was a truly interesting story with real people and some not so real but you could identify with them. All Revolutionary War buffs will love this new young adult novel. Most of the narrative takes place in or around 1775 and because the author used real grave sites as his starting point for the story, the tale seemed really and easily came to life. By: Phyllis W. Palm, Ph.D. There have been many memoirs written regarding the atrocities that occurred during WWII. From the famous Anne Frank diary to less commonly known titles, the horrors that went on have been documented in a variety of ways. When it comes to this particular title, the author has offered the reader a slightly different viewpoint; it is a view told by a girl who, when she was only a newborn, had grandparents who were deported from Germany to Poland – Hitler’s first step in ridding the world of people he detested. Luckily, in this particular girl’s life, her family was reunited when she was eight-years-old. Dr. Palm looks into the reasons behind why her fears of Germany were so strong. How they were somehow set into her psyche. Starting with the ‘Introduction,’ which speaks in general terms about how Jewish people lived in the early 19th century, she then brings the story closer to home. She tells her grandparents’ tale of what they went through, as well as her parents’ tale of the effects of war; from letters, moments in time, and the stories told by those who’d survived and made their way to America. Adolph and Eva Werner, her grandparents, were right beside the evil. They were a part of a world with little food, little shelter, and one where Jewish people walked in groups at night so as not to be killed. The Werners worked to keep their faith and survived by working with their hands. One of the most riveting parts of the story comes near the very beginning. Eva Werner sits, missing her family a great deal, when there is a knock at the door. National Socialist Germany has already become increasingly hostile, but as she opens the door to a soldier and is told that she and her husband will be forced to get on a train and be exported to Poland, the shiver runs down the spine. When it comes to the author’s parents, although they were not buried in the Nazi nightmare that was happening, she speaks of the time period, and the actions and words of others who changed them. In the second part of the book, the author brings readers on her own journey, traveling back to Germany and visiting the sites that held trauma and heartbreak for so many. The research was definitely done of a time period that scared everyone, brought heroes to light, and showed the world what bravery, courage, and hell could look like, all at the same time. Although the writing style resounds as a screenplay at times, with “scenes” being written about from afar, this journey is definitely a different and compelling look at an angry time. 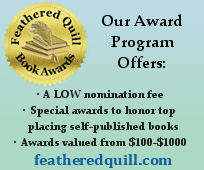 Quill says: A true tale that history buffs, WWII readers, and survivors would be interested in reading. The supposed downward spiral of one’s life can easily begin with a cancer diagnosis. The anger, the fear, and the angst often begin to upend lives in an instant. It’s a roller coaster of emotion when the diagnosis is made, but in cancer survivor Dr. Sherry Meinberg’s mind’s eye it’s “just one more bump in the road of your life.” If you have cancer and read a statement like that, you might just think she’s totally unrealistic, perhaps worse. What can she be thinking? She’s thinking positively and she wants the newly diagnosed to “make the subject of coping with cancer more easily understood and simplified.” You need to create your own plan of action and it all begins by checking out the facts. There are literally hundreds of different kinds of cancer and only one you. It’s your life, your body and there’s no time to sit around feeling sorry for yourself. According to Dr. Robert Nagourney, “effective self-advocacy begins with information.” Dr. Meinberg began by checking things out on the online Mayo Clinic site, pondering them before heading to her urologist. She had plenty of questions, many of them answered by what she read prior to her appointment with her urologist, Dr. Brusky. Dr. Meinberg was self-advocating by becoming armed with all the information she could about her cancer. It was then she began to move forward, but the actual physical treatment wasn’t all there was to her self-imposed plan. After the appointment, which was an overwhelming blur, Dr. Meinberg set out to work on that cancer. Perhaps the very outline of this book, one she shares with her readership, was her plan of action. According to Dr. Bernie Siegel, “Those who survive cancer are those who stay in charge.” Dr. Meinberg not only needed to communicate well, but also needed a physician who could communicate with her equally well. Admittedly, I had to chuckle a bit when she became angry and “fired” one who needed “a refresher course in Dealing with Patients 101.” Meshing with one’s oncologist or other specialist is obviously key to beginning ones journey to wellness. The basics of cancers from staging and grading to those stats and causes preface thirty-one topics that affect all cancer patients. Dr. Meinberg once again quotes Dr. Bernie Siegel when he claims that “All patients must be accorded the conviction that they can get well, no matter what the odds.” An obvious eternal optimist (and cancer survivor), she launches into topics from self-care, coping strategies, emotional strategies, to things like learning to believe in yourself and coping with stress. I found myself immersed in the book, which doesn’t necessarily have to be for cancer patients, as Dr. Meinberg encouraged people to promote their well-being. The book is essentially a compilation of quotations and philosophies of some of the greats in the medical field. In the back of the book is an expansive bibliography from which these quotations were sourced as well as a comprehensive index. The book is infectiously uplifting and an excellent emotional resource for anyone journeying through cancer treatments. Quill says: A Cluster of Cancers is an excellent book for cancer sufferers who need emotional guidance and encouragement after a cancer diagnosis. Sasha Riggs had finally found a place of quiet in the South Carolina woods where she could paint and not be disturbed. However, recently she has been plagued by dreams that take her to another world entirely, a world where there is battle, struggle, and evil that she must face but in these dreams she does not have to face them alone. There are five other individuals she sees clearly fighting with her, beside her as one unit. After having dreams about these five, she sketches and paints each one vividly, always seeing the exact same people in each of her dreams. Finally, after weeks of countless dreams Sasha cannot ignore them anymore and after painting a village located in the Greek island of Corfu, Sasha hops on a plane and travels there. With no idea what she is supposed to find or be looking for, Sasha decides to spend her first night out on the patio of her hotel thinking about what her next move should be. That's when Sasha sees her - one of the women from her dreams, a spitting image sitting right in front of her. Gathering all the courage she has, Sasha steps over to this woman, introduces herself and learns that this woman’s name is Riley. Then without thinking about it she lays out all of her paintings on the table and explains her dreams hoping that Riley won’t think that she is completely crazy. Surprisingly, Riley takes all of this in quite calmly and tells Sasha that she is in Corfu looking for the Fire Star. Sasha soon comes to realize that the Fire Star is the quest all of them are seeking to take. In the next couple of days every person that Sasha has dreamed about comes into her path and they slowly begin to realize that all of this was fate as they were meant to find each other, in this exact spot, at this exact time, to face an unthinkable evil that also desires the Fire Star. Within the first few pages of this novel I was absolutely hooked as Nora Roberts has created another amazing start to what I see as being an incredible series. When a story brings several different characters together while they seem to be blazing their own individual paths, I'm hooked. I truly enjoy reading about the journey that each character takes to be part of that group and Roberts does an incredible job of this. Within minutes I realized that this would be a book I would not be able to put down and that the next few nights were most likely going to be late ones for the simple fact that I would be up reading. I cannot wait for the next book to come out in The Guardians Trilogy as I will be one of the first to come scoop it up when it does. Quill says: An incredible page turning novel that had me wanting to jump into the second book instantly after finishing the first! Have you entered this month's book giveaway contest yet? Check it out! Twenty-two courageous women, who set out to visit some amazing places, and along the way learned more about themselves then they ever dreamed possible. Sound interesting? It is! Edited by Janna Graber, who herself contributed one of the short stories, A Pink Suitcase chronicles the adventures of some very interesting women. The book takes the reader all over the world, from French Polynesia, to China, Thailand, and, surprisingly (but with a not-to-be-missed story) to the United States. I enjoyed each and every one of these tales and felt as if I was along for the ride. The book opens with the story of a ‘semimarathon’ in French Polynesia. Author Bernadette Murphy had traveled to the exotic sounding locale to stay with her brother and his Tahitian wife/family. Murphy was technically on sabbatical from the university in California where she taught, but perhaps the real reason she had traveled so far was to recover from the break-up of her 25-year marriage. Feeling alone with a brother she was never very close to, a small island with customs (and bugs!) that she’s never encountered, and a level of humidity that makes running a marathon, even a ‘short’ one of just over 13 miles seem crazy, leaves Murphy feeling lost. How she finds herself, through the wonderful people she is living amongst, as well as her relationship with her brother, is as fascinating as the landscape surrounding her. Both bring the reader into a world they have likely never encountered. The editor of this work, Janna Graber, adds her own adventure in “Thailand’s Lost Children.” Graber travels to Thailand to research child prostitution for a U.S. newspaper. Wanting to also spend some ‘alone time’ with one of her children, ten-year-old Kristin, and being assured it is safe to travel with a young child by a friend who lives in Thailand, Graber’s trip will open her eyes to not just what happens to the children of Thailand but also to her relationship with Kristin. The reader’s heart will be torn reading about the ‘Lost Children’ as well as rejoicing at the universal themes of loving and caring as Kristin quickly bonds with some local girls who have been saved from prostitution by Graber’s friend. Another delightful read was Gina Kremer’s recounting of her trip to the exotic setting of...the United States. True, it doesn’t sound that captivating, but Kremer’s planned trip to hike the 2,180 miles of the Appalachian Trail was both funny and eye-opening. As the blisters on her feet grew, so too did her burgeoning understanding of who she is and where she is going. Feeling depressed by a slew of bad events, she was living in her mother’s basement binging on Ben & Jerry’s. By the end of her story, where she completed a 100 mile stretch of the Appalachian Trail, those disheartening events were a dim memory. She had learned so much out in the woods and happily shares with her readers. A Pink Suitcase worked on many levels, all coming together to create a very satisfying read. The descriptive passages of various landscapes, cultures and customs drew me in to each story. I was easily transported to every locale, enjoying and learning about each. I marveled at the courage of so many of the authors who traveled, many alone, to exotic places that most would hesitate to visit without a companion. Add in the numerous instances of learning so much more about yourself, as well as others, and you have a winner. 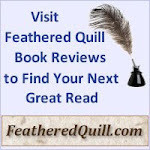 Quill says: An utterly, totally, completely enjoyable travelogue. I loved every page of this book. Check out the latest books that have just arrived for review! Butterfly Waltz by Jane Tesh Desmond Fairweather, a young musician whose creative efforts are hampered by fears he may possess destructive magical powers, is swept up in a world of mystery and intrigue as he helps his tabloid writer friend Jake Brenner, who is on the hunt for a big supernatural story. Skeptical of the validity of the stories Jake hunts, Des reluctantly accompanies his friend on his latest adventure with the promise that Jake can help him secure an audition with the city symphony, a break Des desperately needs. This latest story brings the two out to the country to investigate some talking flowers at the Snowden estate. While investigating the flowers of Christine Snowden, a startlingly beautiful young woman appears to Des who claims to be magical. She is Kalida, a mysterious creature who has escaped from the people of the Caverns and renounced their evil ways. However, her people have found her and are pressuring her to return to their world. American St. Nick by Peter Lion American St. Nick recounts when, during the darkest days of World War II, a handful of American soldiers help bring the Christmas spirit back to the children of war-weary Wiltz, Luxembourg. With their simple act of kindness and selfless generosity, they unknowingly created a holiday tradition that continues in to this very day. This is an amazing true story of heroism, honor and hope you ll never forget. A Pink Suitcase: 22 Tales of Women's Travel edited by Janna Graber The recipe is simple -- take 22 adventurous women, drop them into fascinating destinations around the globe and add exceptional storytelling. The result is a compelling new women's travel anthology called A Pink Suitcase: 22 Tales of Women's Travel. A Pink Suitcase brings together a talented group of daring women as they journey across the globe on adventures that are as unforgettable as they are moving. These intrepid explorers take on the world with wide eyes, an open heart and a woman's point of view. They tackle Mother Nature, dive into other cultures and try new things. And in the process, they learn not only about new people and places, but uncover their own hidden strengths. The Puffin of Death: A Gunn Zoo Mystery by Betty Webb California zookeeper Theodora Bentley travels to Iceland to pick up an orphaned polar bear cub destined for the Gunn Zoo’s newly installed Northern Climes exhibit. The trip is intended to be a combination of work and play. But on day two, while horseback riding near a picturesque seaside village, Teddy discovers a man lying atop a puffin burrow, shot through the head. The victim is identified as American bird-watcher Simon Parr, winner of the largest Powerball payout in history. Is Teddy a witness―or a suspect? Others include not only Parr’s wife, a famed suspense novelist, but fellow members of the birding club Parr had generously treated to their lavish Icelandic expedition. Hardly your average birders, several of them have had serious brushes with the law back in the States. Guessing that an American would best understand other Americans, police detective Thorvaald Haraldsson grudgingly concedes her innocence and allows Teddy to tag along with the group to volcanoes, glaciers, and deep continental rifts in quest of rare bird species. But once another member of the club is murdered and a rockfall barely misses Teddy’s head, Haraldsson forbids her to continue. She ignores him and, in a stunning, solitary face-off with the killer in Iceland’s wild interior, concludes an investigation at once exotic, thrilling, and rich in animal lore. A Caterpillar, a Bee and a VERY Big Tree by Dicksy Wilson & D.B. Sanders A story about positive thinking, helping others and never giving up. Authors Dicksy Wilson and D.B. Sanders tell the inspirational story of one very small caterpillar overcoming huge obstacles to save the day and make some memorable friends along the way. Good Dogs, Great Listeners: The Story of Charlotte, Lily and the Litter by Renata Bowers Charlotte has the pesky habit of abandoning a book in favor of a distraction. Paired with her dogs and her bold imagination, that distraction has a way of turning into a grand adventure. But when Lily gets hurts on one of their adventures, Charlotte relies on her imagination and heart to find a way to love Lily back to health ... and discovers a love for reading along the way. To begin my review, I’d like to play a little guessing game: “What happened after the most important event in Christian history?” That event would be, obviously, the life, death and resurrection of Jesus, and what might the answer entail? Perhaps what might have happened to Christ’s Apostles and how they spread THE WORD. The Antioch Testament takes the reader to the year 2004, where a US Army patrol, stationed in Iraq, comes across a group of Iraqi Christians who are in the process of fleeing from Islamic fighters. The leader of the Iraqis is a priest who has life-threatening injuries. The priest is insistent that he hand over a bundle he carries to the military chaplain (and only to the chaplain). When that chaplain, Charles Monroe, opens the bundle he sees that it contains an ancient manuscript that is written in an old, unknown language. Because the Chaplain is worried about keeping it in Iraq, where Christians are being targeted and anything ‘Christian’ is at risk of being destroyed, he decides to have it sent back to the United States for safe keeping (to his hometown of Augusta, GA). Eventually the manuscript ends up in an Eastern Orthodox Monastery where a group of scholars begin to translate it. As the scholars set to work, they soon discover that the manuscript is a firsthand, first century AD memorial in the Aramaic language (which was the language that Jesus spoke), telling of what happened to the Apostles after the Resurrection of Jesus. It tells of the Apostles' lives, where they went and how they died. Readers will learn that the Apostles were ordinary, hard-working men who were given an amazing task by Christ. They would be a part of calling out to the world, including the mighty Roman Empire, to repent, and turn to the faith of the risen Christ. As the researchers continue their work, they are unaware that time is of the essence. A zealous Iraqi rebel organization is determined to find the manuscript and destroy it before all the secrets contained within the manuscript are exposed. And those Iraqi rebels believe that some of those secrets are definitely worth killing for. While the translation is in progress, the Iraqi’s who are terrorizing the Americans learn where the documents are located...and are determined to recover them and return to Iraq, and destroy everything and everyone in their way, if necessary. For history buffs, this work of fiction is certainly interesting, offering a new path in the Christian realm. Following the lives of the Apostles kept me turning the pages although if you're looking for a book that is primarily a mystery/thriller, this may not satisfy. The bulk of the narrative is about Christ and the Apostles, not the 'bad guys' pursuing the manuscript. But again, for history buffs, The Antioch Testament will keep you engaged. Quill says: Not as much a mystery/thriller, but for fans of Christian historical fiction, The Antioch Testament will be an enjoyable read. A small tumbleweed and a small sparrow – are they too small? In The Tiniest Tumbleweed young readers will watch as these two little creatures grow and learn that they are the right size to do what they need to do – in other words, they are perfect. The Tiniest Tumbleweed follows these two babies as they mature. And they do grow, just not as much as their siblings. Would the little tumbleweed ever be able to grow big and strong and make seeds like other tumbleweeds? And what about the sparrow? How would he ever grow big enough to fly and spread seeds like his brothers and sisters? 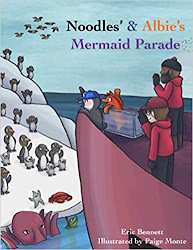 Author Kathy Peach has found a delightful way to teach youngsters about coping with physical limitations and how everyone, no matter their limitations, can be useful to others. Tumbleweed and Sparrow are not as big as their siblings and by the middle of the story, it’s apparent that they never will be. How does one deal with being different? With having limitations that keep you from doing what you want to do? Eventually Tumbleweed and Sparrow come together and learn that they are a ‘perfect fit’ for each other. Young readers will see that while they may not fit the ‘norm,’ (whatever that may be), there is always a reason and purpose – you just have to find it. The author drives her point home by having the text go back and forth between the two characters’ lives, showing how they were both dealing with being ‘different.’ First the tumbleweed, then the sparrow, back and forth. In many places, the text centering on the sparrow closely mirrored that of the tumbleweed, driving home the point that they were both dealing with being smaller. As with all Five Star publications, there are several pages of additional information in the back of the book. These include ‘Fun Facts’ (and even adults will likely learn a few things about tumbleweeds!) and a curriculum guide. Quill says: An adorable, and informative, story about two youngsters who learn to work within their physical limitations to be the best they can – and help others along the way.